Marina Village is Cape Coral's premier luxury resort with spectacular waterfront views, restaurants, boutiques, spa, excellent concierge service, and deep-water marina. 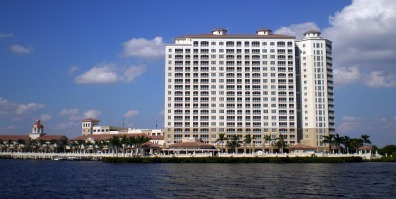 Purchased by Westin Hotels in December 2012, the resort is part of the luxury community of Tarpon Point, which is on the Caloosahatchee River with breath-taking views out to Sanibel, Ft Myers, and beyond to the Gulf of Mexico. 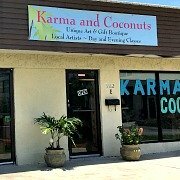 It's a fantastic place to stay whether you are visiting ......... or living in Cape Coral. Dine at two of the Cape's best restaurants, stroll around the waterfront shopping area, go kayaking or boating, and attend resort events! Our family has stayed here a couple of times and will definitely go back again. As a matter of fact ....... 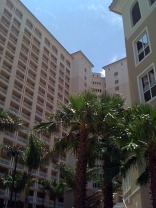 I'm thinking of making it a yearly tradition because I love staying at the resort so much! Why travel far away when you can have the perfect vacation with a staycation near home. 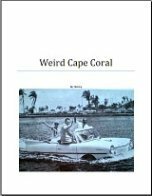 The resort is located in the area where Cape Coral's famed Rose Gardens used to be and is surrounded by park land on one side and water on the other. I can't think of a better place to go for a romantic weekend getaway or honeymoon. It's also a great place for business accommodations or meetings ........ and the amenities are perfect for a quiet and relaxing family vacation in Florida. The lobby is quite dramatic and will welcome you with some interesting features. It has the neatest tubular water fountain, a huge aquarium, and designer decorated seating areas. 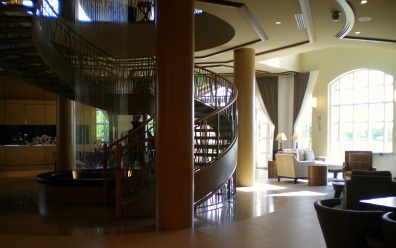 An architectural spiral staircase leads up to more seating areas and business meeting rooms. The Resort at Marina Village offers studios with 2 full-size beds, a kitchenette with mini-fridge, bathroom, and screened-in balcony. 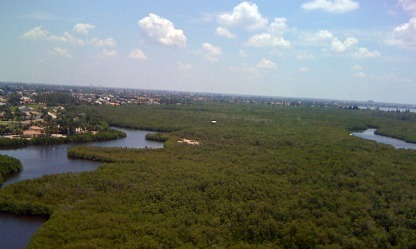 The picture below show studio views, they are of Cape Coral and the Preserve over at Rotary Park. Or, you can stay in large, fully-appointed 1, 2, or 3 bedroom suites that go from 790- 2195 square feet in size. They have full kitchens that are open to a living room and dining area, and laundry facilities. The 2-bedroom suite has a master bedroom with king bed, and a guest room with 2 double beds. A 2-bedroom deluxe suite is available with 2 master bedrooms that have 2 king beds. The 3-bedroom suite has a master bedroom with a king bed, a second bedroom with a king bed, and third bedroom with 2 double beds. 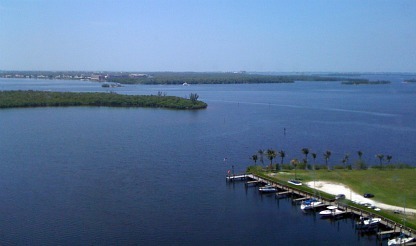 If you stay in a suite ........... views are of the Caloosahatchee River, the Tarpon Point Marina, Ft Myers, and out to Sanibel, which you can see in the picture below. 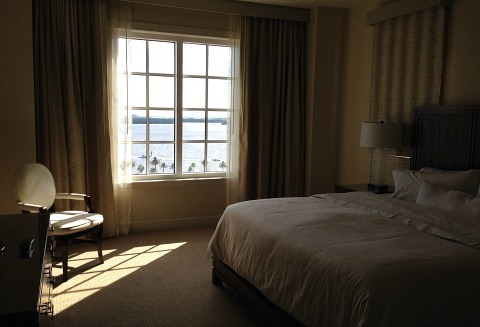 When you make your reservation, Marina Views are for suites on lower floors, and Sanibel Views are for suites on upper floors. Marina Village Resort is a green resort, as an example, we had to use our key card to turn on the lights in the kitchenette area, this saves electricity. Marina Village has seasonal dolphin and sunset cruises for a small fee, and a free ride to Ft Myers beach on their boat taxi. 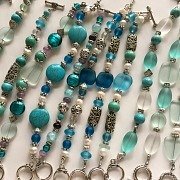 See pictures and videos of our first vacation at the resort, because I have a video of our studio with the views, and a video of the Sanibel Dolphin Cruise we went on! 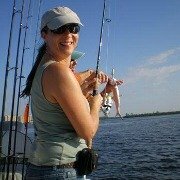 You can also see photos and videos of our second vacation, when we stayed in a 2-bedroom suite and loved our amazing views of the river and Sanibel. 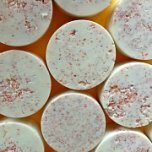 We spent a lot of time relaxing in the pool and whirlpool hot tub while listening to the soothing sounds of the fountains and music. After all that lounging around, use Marina Village's complimentary bicycles and explore around the resort. 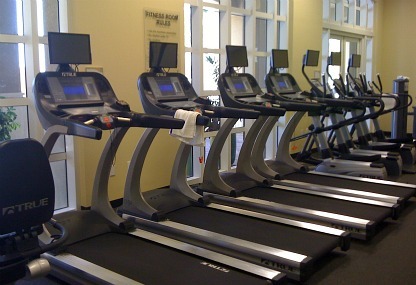 Or work out in their large fitness room, it has a good selection of machines and equipment. What's nice is you can see the pool and river while you're running on one of the many walking and jogging treadmills. Now that you've worked out, it's time to check out the resort's restaurants! 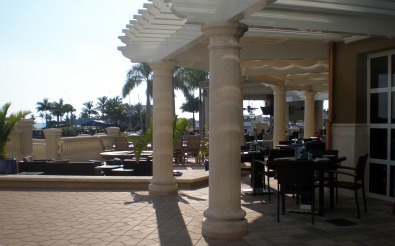 Marker 92 Waterfront Bar & Bistro, and The Nauti Mermaid Dockside Bar & Grill, are two of our favorite restaurants in Cape Coral. Marker 92 has casual fine-dining with seating inside ............ and out! If you sit outside, you can really enjoy the view and listen to music coming from The Nauti Mermaid. Tables dot the porch surrounding the restaurant, and you can see in the picture below, there is some cover from sun and rain. Serving a nouvelle American-style cuisine, you will find superb steaks, seafood, pasta dishes, and more, all artfully prepared with fresh and unique ingredients. The Nauti Mermaid offers more casual fare dockside, with the marina on one side and the river on the other. Dig into sandwiches, salads, wood-fired pizza, and fried seafood baskets that are all delicious. 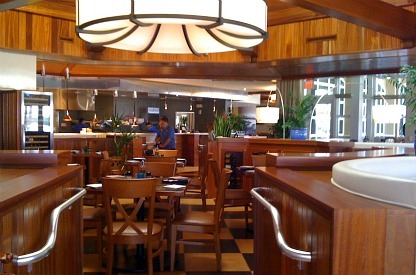 Whether you dine at Marker 92 or at The Nauti Mermaid, you can choose from either menu, depending on your preference. They are both right on the water at the marina, so you can come by boat or by car. Nauti Mermaid is also a delightful place to go for drinks or a snack. They have live music Wednesday - Saturday nights. After dinner, you can continue enjoying the music by sitting around the fire pit in the conversation area, when the weather is a little cooler. Don't feel like coming down for breakfast? No problem, room service can be ordered off the Marker 92 menu. We had the best ever blueberry muffins, fruit salad with yogurt and granola. Of course, you can get pancakes, French toast, eggs, omelets, bagels, croissants, and more. The pool at Marina Village has a snack bar and kiddie camp located next to it. 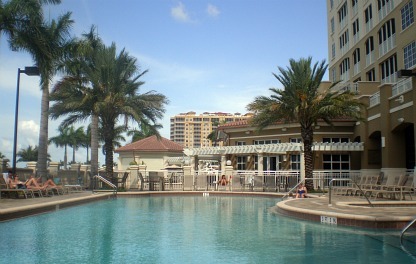 Besides the pool at the resort, you have access to some really cool amenities at nearby Tarpon Point. You'll find a community clubhouse with lap pool and lagoon pool, tennis courts, horseshoe pit, and bocce ball. 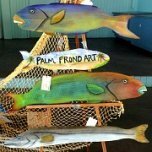 For a fee, they also offer kayak rentals at the marina from Tarpon Point Boat Rentals & Charter Services. 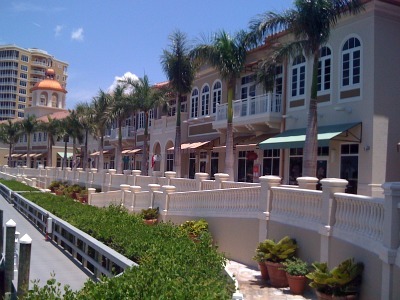 The Promenade is the shopping area, just in front of the marina where you will find boutiques and art galleries. 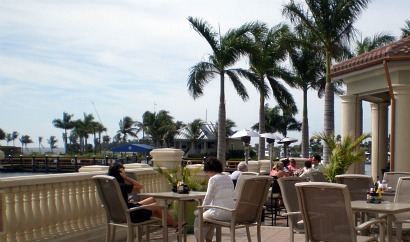 At the far end of the Promenade is Pinchers Crab Shack, serving up delicious seafood along with views of the marina. Go for the stone crabs claws when they're in season. They're served with a tasty mustard sauce ........... and if weather permits, sit outside so you can enjoy watching the boats coming and going. I like to go to the Promenade and walk around, soaking up the sun and the atmosphere. 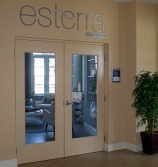 Marina Village has the award winning Esterra Spa and Salon, which is luxuriously appointed and has picturesque views of the marina. 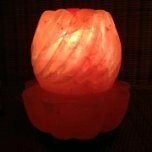 I had the most amazing hot stone massage there, everything from the ambiance to the therapist was pleasant and relaxing. Have a manicure or pedicure, get your hair done ..... it's so convenient especially if you are staying at Marina for a party or wedding. Marina Village has a lovely setting for weddings with a gazebo and those. The hotel also holds extra events like: holiday parties, a weekly evening farmer's market, a yearly kayak scavenger hunt, and other events. When we stayed at Marina Village recently, the staff was very friendly and helpful. 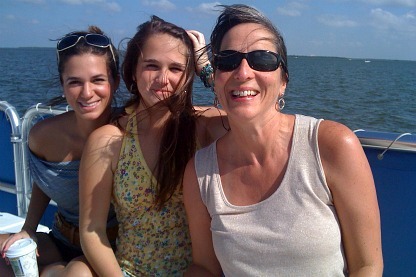 We had the best time and will definitely keep going back to this Cape Coral treasure! There is something for everyone, and yes ............... Marina Village is pet friendly.